I've joined forces with two other very wonderfully talented artists, Miriam Schulman and Jan Schmuckal for an all new 3 week online painting workshop called the Tree Tutorial. Wow! 3 different artists show their secrets for the price of one workshop. What a deal! Click here to view all the details and to sign up. 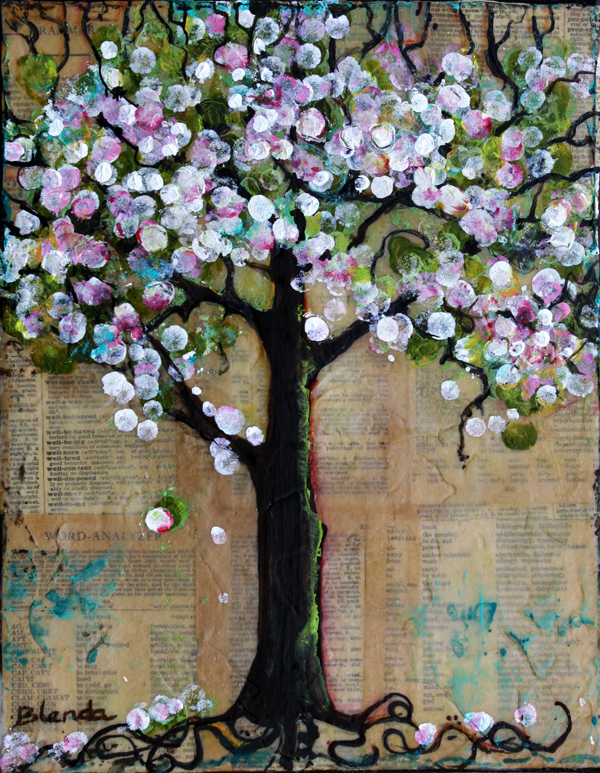 Spring Tree by Blenda. This is the finished mixed media painting that I will be demonstrating and is available for puchase in my Shop Art Section.